Battle on the Columbia 2019 (08.17.2019) is the premiere, open martial arts tournament in the Pacific Northwest. It draws competitors and their families from Washington, Oregon and Idaho. Now in it’s 11th year, Battle on the Columbia has moved to a larger venue (Southridge Sports & Event Complex) to accommodate the growing number of competitors! Registration is now open for: Online Registration (!) credit/debit card only, In Person Delivery cash or check only, and Via US Mail check only. 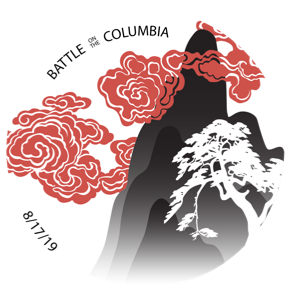 If you would like to be kept up-to-date and/or get more information for Battle on the Columbia 2019, please enter your contact information below. – 2019 is our 11th Anniversary! – Each competitor receives an exclusive cloth patch. Suitable for uniform or training bag.